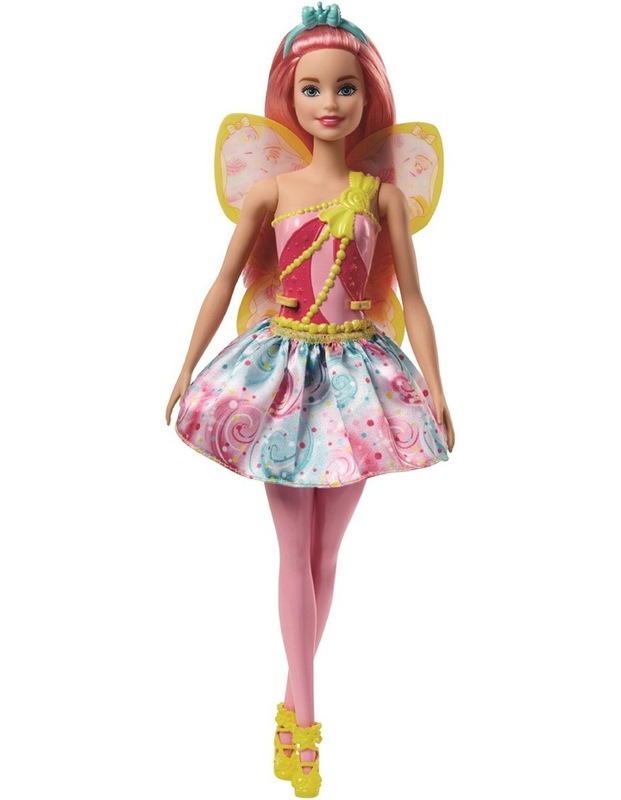 The fairy dolls from Barbie Dreamtopia will take imaginations on marvelous flights! The Barbie dolls have beautiful wings with unique shapes and colorful prints. Choose a fairy doll from Sweetville, Rainbow Cove or Sparkle Mountain. 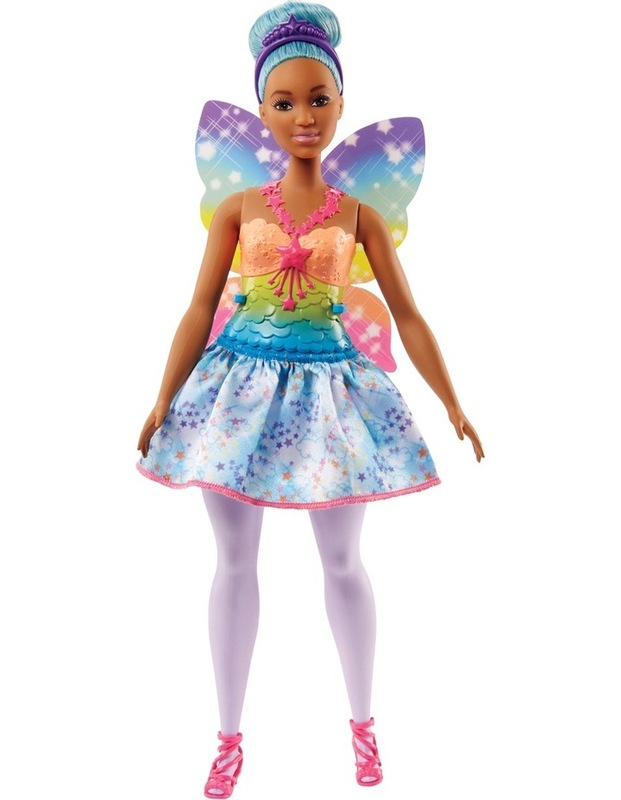 Each Barbie fairy doll wears a unique look inspired by her home kingdom. Removable skirts, shoes and headpieces incorporate bright colors, fantastic prints and fun touches. Young imaginations can tell all kinds of tales with the Dreamtopia fairy dolls because when you enter Dreamtopia with sisters Barbie and Chelsea, you wake up to a world where dreams become reality! Collect all of the Barbie Dreamtopia dolls and accessories and let your dreams take flight. Includes Barbie Dreamtopia winged fairy doll wearing fashions and accessories. Each sold separately, subject to availability. Dolls cannot stand alone. Colours and decorations may vary.